It is tough to select the best window treatment style, given the endless options the market has today. A clear idea of what you want and whether your budget will fit in, mark your ultimate decision. An informed decision can never go wrong and it is best suited with some significant questions. Ask yourself- Do you need the same windows treatment option for all windows? How much you need to block light? Are they meant just to look pretty but offer adequate privacy as well? Will you have the choice to layer more option later? Having answers to the above questions and strapping up a suitable budget will help you make your pick. Good news is, technology has made the impossible possible, securing all window treatments with automation engineering. Our advice is to order swatches of the various materials or fabrics that you prefer and see if you like them in your home. Window treatments demand good amount of investment with higher stakes, so there is no space for wrong decisions. We present to you the features and uses of the most versatile windows treatments options to help make a final choice confidently without any falter. Check out the various types of window treatment options and their subdivisions. There is no major difference between shades and blinds, although the former does not ward of sunlight completely unlike the latter. The key features are shades do not come with vanes or slats, and they are a less expensive option than blinds. Instead of blocking out sunlight absolutely, shades help to soften light by filtering it through its light and porous surface. Today, you can buy shades made out of a variety of materials, such as polyester, linen and cotton. Hit the button and the shades come down, offering as much privacy you want. They work on pulley mechanism which can be controlled by a remote control or can be drawn manually. Fitted with layers of fabrics, the shades roll up and down when you regulate them. Prefer using shades made out of PVC fibreglass coating to maintain its shape and to avoid rust accumulation during rainy seasons. 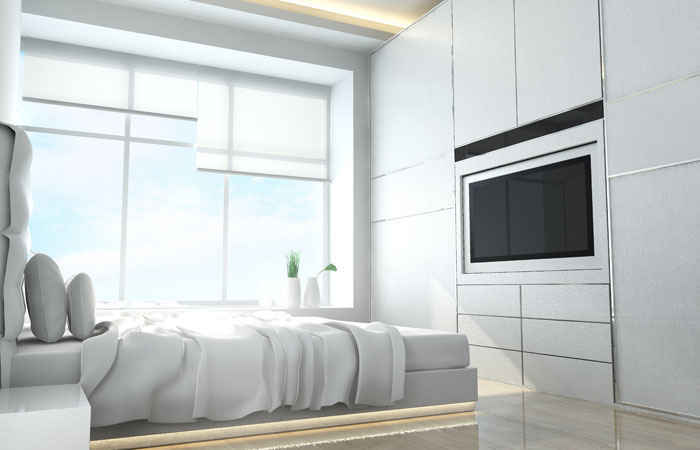 These types of shades are highly on demand these days, owing to their cost and energy efficiency advantage. They are packed with advanced features to ensure least heat loss when you need it the most. The honeycomb-shaped pockets found in between the front and back panels help to trap air by minimizing heat loss during the cold season, thus keeping the room warm. During summers, the honeycomb shades go down and keep the room cool by preventing excessive sun heat from entering the room. 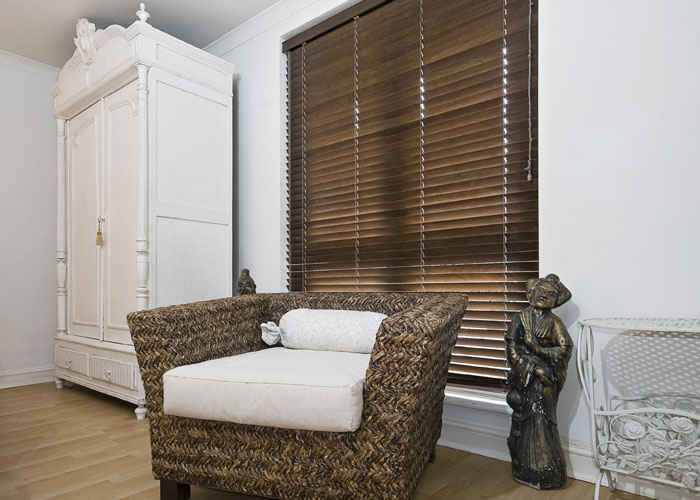 Pleated shades are an apt choice to accentuate your room with a classic style statement. They include a single piece of fabric, available in a variety of simple and pleasing designs. The options are innumerable as the market has an array of crisp pleated shades offered in an assortment of colours and fabrics. Choose lighter colours to invite more light and turn the room brighter, while darker shades render more privacy by keeping lights out. Install eco-friendly shades and start a ‘green’ initiative at your home. Solar shades, as the name implies, are a great option to save on energy and reduce electricity bills as they are powered by the sun. The idea of solar or roller shades is to ward off harmful UV rays and reduce glare. The choices of hemp blends and bamboo shades are the best solution for a green home. Besides, there are a variety of fabrics and textures available for solar shades, as there is no question of running out of option. What more you can ask for when you can easily clean the shades with a wet cloth without any hassle! Roman shades can translate your room into a relaxing and inviting retreat with its special character and texture. Elegant and light, they come with multiple folds or folded bottoms that make them roll up from the bottom with just the press of a button. If you are looking for complimentary looks and certain amount of light to keep your room vibrant, Roman shades are the best. Another biggest advantage is they are easy to clean with a vacuum attachment or a small piece of wet cloth for removing debris and dust from the inner pleats. Except for a few cons like less energy efficiency and inability to block light much, Roman shades are, indeed, a good choice for an attractive decor. Blinds function as hard doors for your window treatment. Once you pull them down, the room becomes dark as no light is allowed through its hard, non-porous surface. The types of materials used for building blinds are aluminium, leather, wood, composite material, vinyl, etc. 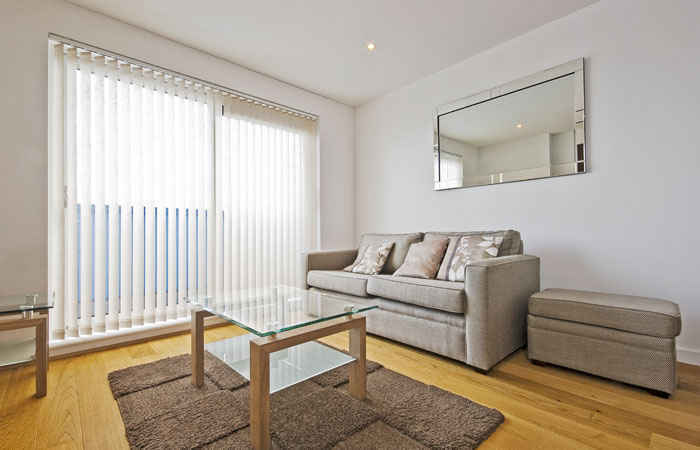 Blinds offer lots of versatility in terms of choosing materials, exuding the appeal and light blocking. For instance, they can be partially open or closed, or completely opened or closed, or angled to the left side or right in whichever you want to filter in sunlight as per your desire. When buying blinds, focus on a few questions like- Whether it can block off light completely? How much privacy they can offer? Remember, you have both hard and soft materials to choose from for your blinds. Hence, binds, nonetheless, offer great versatility and are a great choice over shades from the light blocking perspective. If you want an option to keep your room filled with sunlight for most part of the day, Mini blinds serve your purpose well. They are highly effective in creating privacy and blocking out light. However, they are not a thumb up in terms of looks or style, so this type of window treatment option is often seen in college dorm room or in apartments. To sum up the favourable features of Mini Blinds, they are cost effective, available in different colours and materials like vinyl or aluminium. Wood blinds add some life in an otherwise dreary looking home interior, commonly adorned with run-of-the-mill vertical blinds. Wood, as you know, has the power to perk up sophistication and style in a room to a much greater extent than most other materials can offer. The market offers a variety of woods and finishes, from matte to mahogany. You should, however, know that wood blinds have a heavy look so they are best suited for living areas, rather than kitchens or bedrooms. 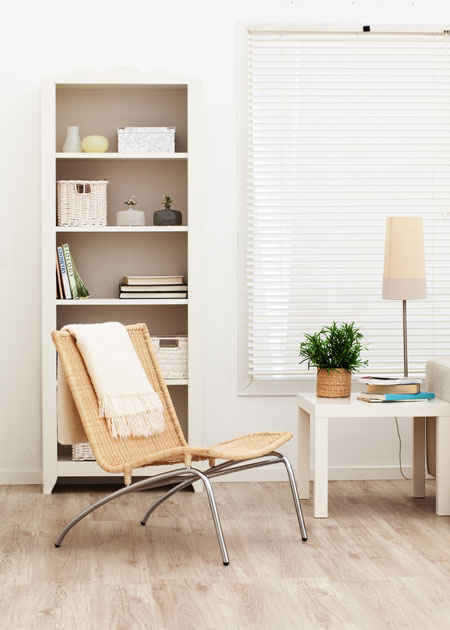 Unlike traditional wood blinds, faux wood blinds are less expensive, lighter and much easier to take care of. 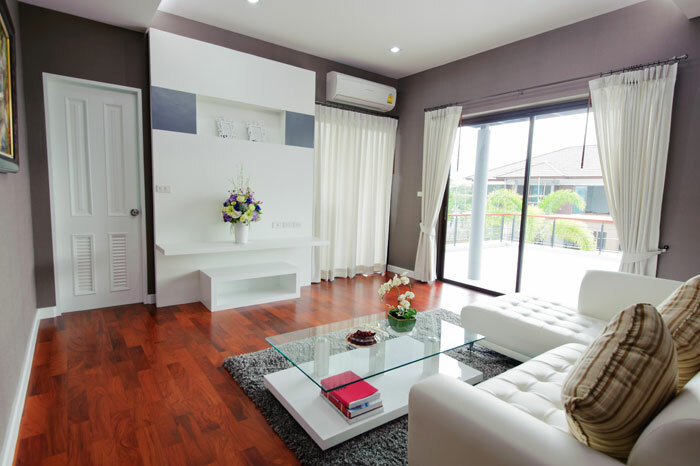 The two factors that make faux wood popular are its ability to replicate real wood appeal and save a mammoth amount on your budget since its faux wood. The other advantages are they are the best choice for young children and your family given its safety features and they are easy to clean. How about creating illusions of large spaces with long-drawn blinds that add dimensions to tall doors and windows? Vertical blinds compliment balcony doors and patio areas where they can be seen hanging long from top to the bottom of windows. Choose the right colour and material for Vertical Blinds that can meet the need of your space. The common material options for these types of blinds are vinyl and fabric. If you need to block off sunlight, select dark colours for a protective shield. Drapes and curtains have been in existence much longer than blinds and shades. Available in both formal and fun style, they are like the prima donna of interior designs. From looks to functionality, curtains or drapes have a solution for your privacy and lighting needs. Weigh the pros and cons of the following before you reach a choice: fabrics, colours, shapes and sizes of windows and types of hardware required for your curtain, etc. Considering all the factors and examining the market will help you have an informed choice of deal. Some tricky questions will help you know which the right option is. Whether they have efficient light blocking characteristics? Are they able to offer a romantic look and allow sufficient breeze and light to come through? Can they save energy? It’s important to learn about both function and form of the different types of curtains and drapes. For instance, too much light is best defied with lined or heavier curtains. Heavy silk or velvet, on the other hand, goes well for the ultimate touch of appeal. For the fussy housewives looking for an easier washing solution, rayon or cotton curtain is a good pick. No matter, whichever quality to choose from, measuring the windows precisely is important to get your window treatment project within your budget. Sheers are available in varied colours and are quite light and airy. Sheers are combined with heavy curtains to create a more private space and create more flexibility in terms of privacy and light. Position the sheers underneath heavy drapes in order to help you manage light intensity inside your cosy space. They are versatile, allowing you to keep the sheers on with the drapes pulled out to let in some light without breaching your privacy. 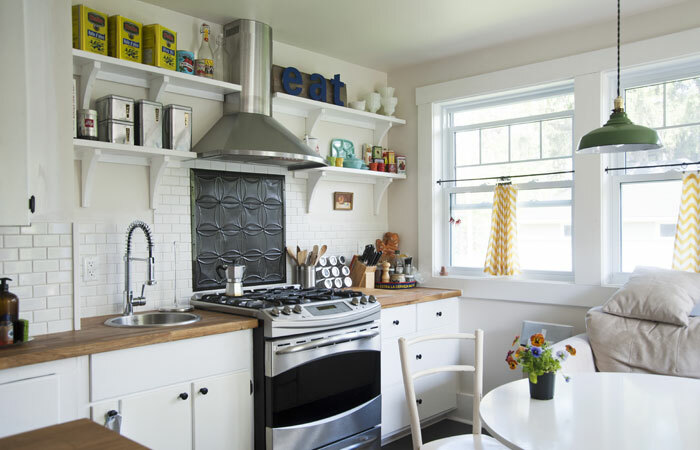 Tiers complement bathrooms, kitchens and kids’ rooms. Stylish looking, the tiers are fitted on short rod-pocket panels and are commonly used on the lower third of any window to exude a county or traditional look. You can pull close or open the tiers to manage light and privacy. Thermal or Blackout draperies are the epitome of function and style. These days, many home owners are resorting to energy-efficiency window treatments and so thermal blackout curtains are the one to count in. They come in a variety of configurations are capable of shutting out light when you want. In summer months, the thermal curtains help cool your room, while in winter they help to warm your rooms. How about transforming your living room into a theatre room by pulling down the blackout draperies? Sounds great for kids and adult alike who can enjoy a fun-filled weekend at home itself. Home decor is a significant considering factor when you are sprucing up the cosy corners with creative ideas. How about creating illusions of larger spaces with panel window treatments? They have a lengthening effect with its top edge placed slightly above the window. Available in a variety of patterns and style, panels are a great option since you get an assortment of fabrics and colours to choose from. They are ideal for bedrooms, sliding glass, French doors, dining rooms and living rooms. Choosing the curtain rod is another trick of blending the curtains stunningly with the rods for a more vibrant combo. Decorative rods complemented with the patterns and style of panels goes well. For a more dramatic and formal look, choose heavier curtain rods, while lighter rods look breezier. 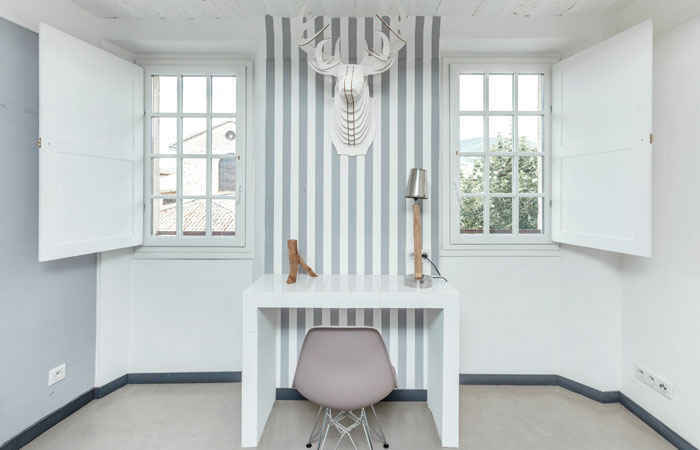 Do not overwhelm your window, but keep the entire appeal just in taste and in perfection with the right choices. Window treatments do not come cheap, so be particular about what you choose and on what basis you select them. Shutters surpass blinds and shades in the context of longevity. They can last up to 20 years and offer the privileges of both style and function. 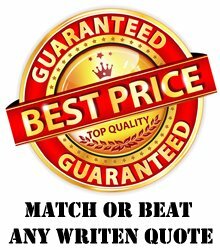 The price is a bit higher for shutters than blinds, how every penny is worth it owing it sturdiness and functionality. Shutters are available as both interior and exterior option. Normally, people love to opt for inside shutters, but the outside option is a good option against strong winds, sun or hurricanes. Go for exterior shutters if you do not prefer interior shutters for window treatments. During natural calamities, the exterior shutters prove as a crusader against all odds of nature. Nowadays, you can customize your own shutters but consult with a professional to get the exact look and functions. 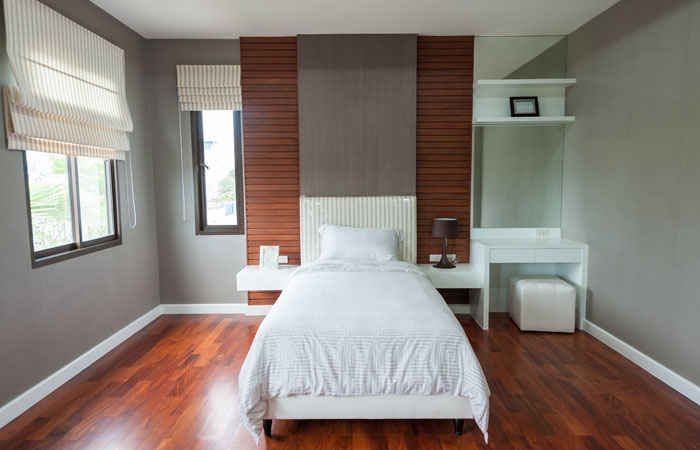 Knowing the differences between the important categories of interior shutters will help you choose from a mix of materials like vinyl, composite and wood. You get more finishes and colours these days so it’s advised to sketch out a plan and go about your choice without any falter. Opt for these types of shutters when you want to shut out the sun completely or want to close the windows in the face of the storm. Unlike most other types of shutter options, Shaker Style offers privacy like no other. When closed down, you are saved from the prying eyes of your neighbours. Although, many people are using these types of shutters in smaller space for absolute privacy, the option is rightfully suited for larger rooms. These are the most preferred choice in restaurants because they cover the lower half of any window, thus preventing the sun from blinding you when you sit down at the table. 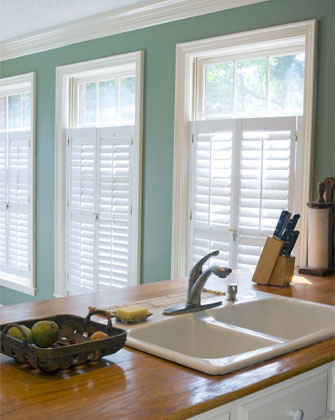 Cafe Style shutters are also popular in dining rooms and in kitchens, designed typically at table height. The plus point of this type of shutters is they block sun halfway so that your room stay lit up sufficiently and at the same time shield unsightly outdoor views. If you are looking for more privacy, install curtains above the Cafe Style shutters. Plantation Shutters differ from traditional shutters as they are not designed to be light-tight and that their slats stay widely open. 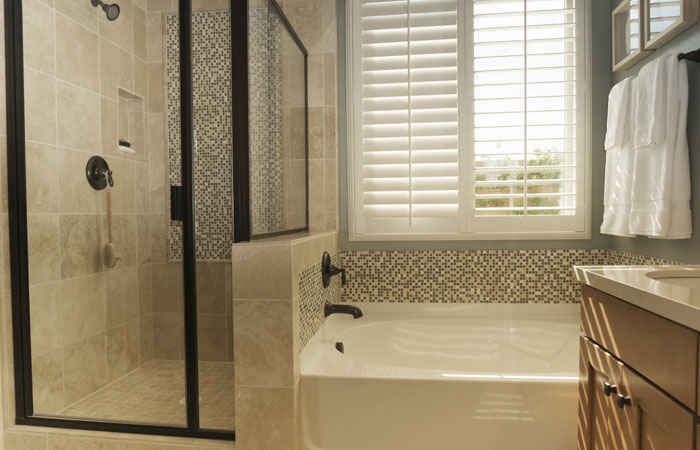 Preferably used in bathroom, Plantation shutters are a definite no-no for bedrooms. They are either installed as single-hung, covering the entire window or they can be double-hung for four individual shutters per window. You can keep the lower part shut, while keep the upper part of the shutter open to allow sunlight come in. This helps maintain privacy at its best. If you home is situated in a crowded place, buy the Plantation Shutters to secure privacy at your home. So, what should be your ultimate decision? Some styles make your windows look bigger, some offer a cosy space at home, while some offer other lighting advantages at a budget-friendly price. 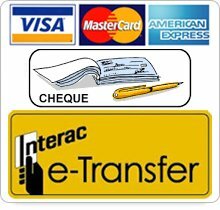 An in-depth research over the internet or by talking with a professional will help you choose the perfect option that suits your demands perfectly. The considering factors include style, cost, looks, features, materials etc., that determine your choice. 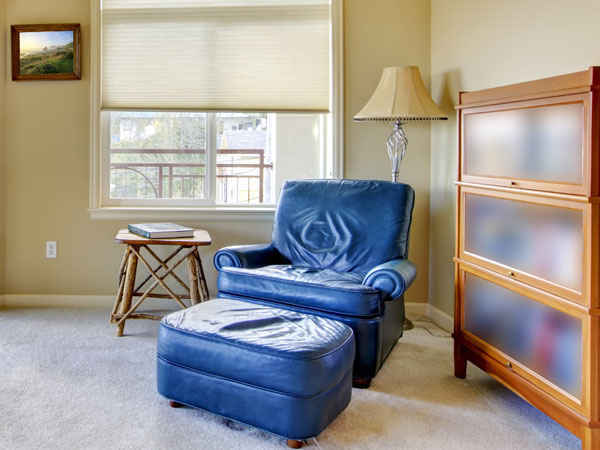 Have a clear evaluation of each blind and shades, their style and benefits and only then go about your deal.